We all dream of escaping to those outrageously remote and often expensive island locations in the world. 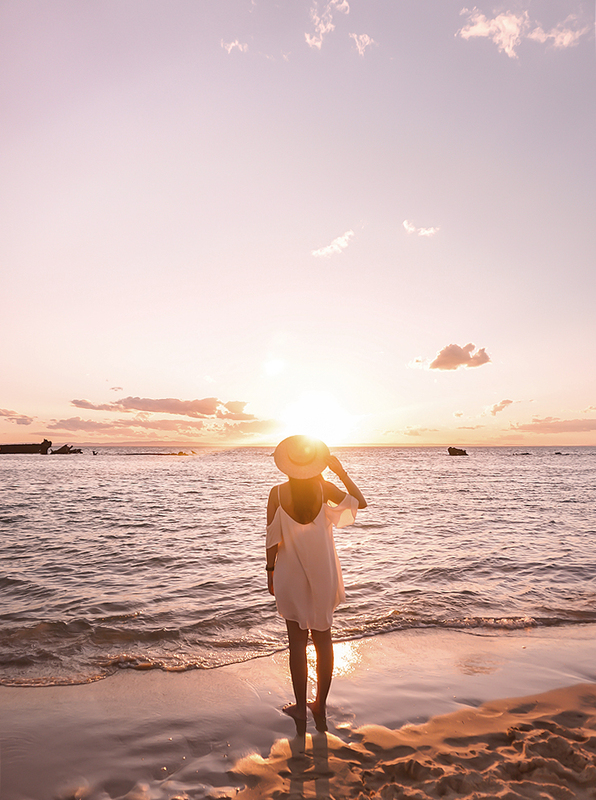 Desperately wanting to escape the hustle and bustle of our busy work schedules for some much needed R&R, getting away to enjoy the tropical vibes on a deserted island can prove more time consuming and difficult than first envisioned. If an island escape is on the cards, yet you’re short on time and limited with travel options, why not look into booking a stay at one of Queensland’s best kept island secrets – Moreton Island. Positioned within close proximity to bayside Brisbane and only a short sixty minute ferry ride from Port of Brisbane, Moreton Island is particularly well known by locals of the region as the ideal weekend escape. Moreton Island is the world’s third largest sand island, offering its visitors the most incredible and diverse weekend escape, mini adventure or camping trip. With fifteen shipwrecks directly accessible from the foreshore, towering sand dune deserts, numerous well defined four wheel drive tracks and a wide variety of accommodation, coastlines and camping options, you’ll be itching to experience this slice of paradise for yourself. Here’s my visual guide to exploring the very best of Moreton Island. Without a doubt, this attraction on the western side of the island is one of the most incredible experiences that Moreton has on offer, if not, the entire Brisbane region. Attracting huge tourist numbers in peak season, this stretch of electric blue water, pristine beach and fifteen purposely sunken sand dredging vessels will have you in complete awe. To avoid peak time on the island, plan to explore either mid week or outside school holidays and long weekends. September to November often produces the best weather for this part of the state, so it’s worth planning a trip for this time of year if you can manage. 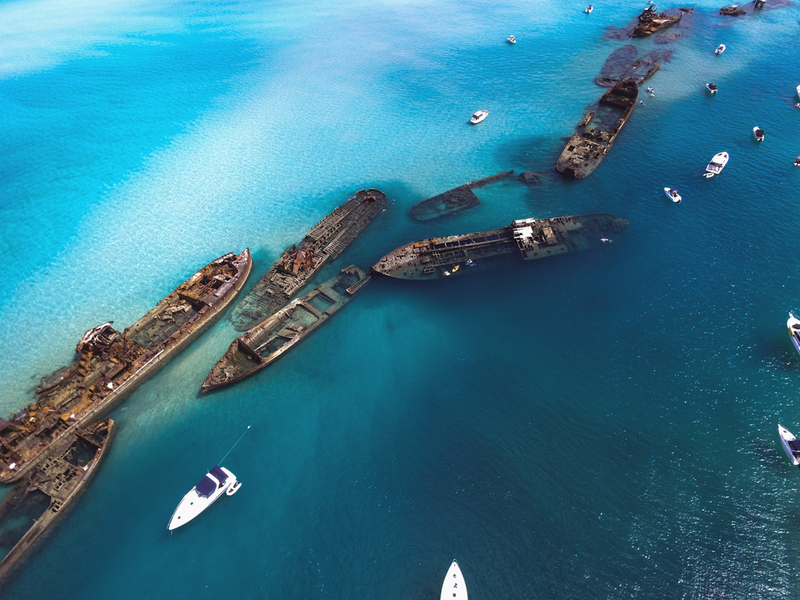 Best viewed from above, Tangalooma Resort offers helicopter tours over the wrecks and subsequent stretches of coastline for the ultimate visual experience. 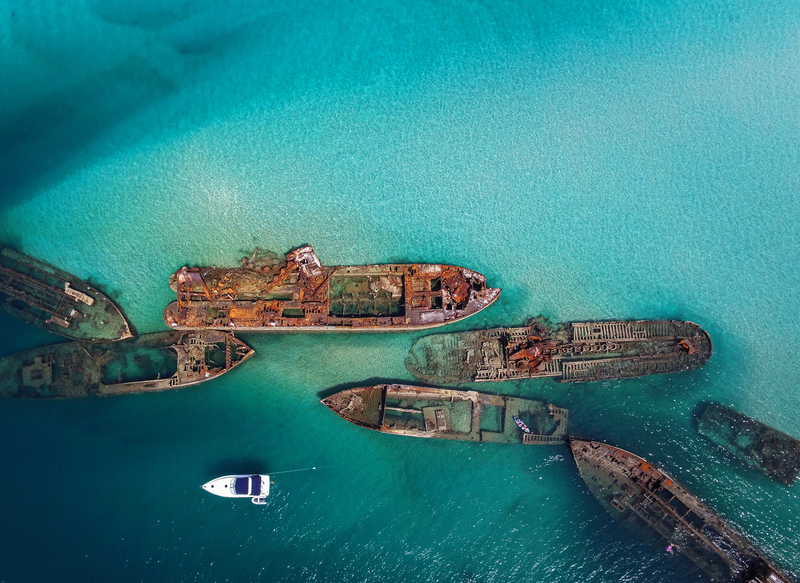 Having the opportunity to witness the stretch of wrecks from an aerial perspective is a must do whilst visiting Queensland and the Brisbane region. If you’re a Brisbane local and you just so happen to have access to a powerboat, you’re in luck! Why not spend the day anchored just off the wrecks. 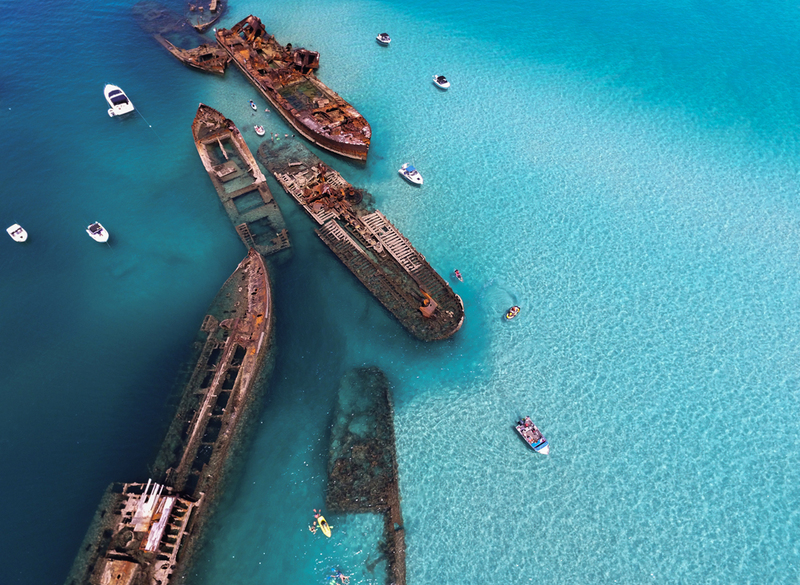 The cerulean waters are mesmerising as they lap gently against the side of the shipwrecks. From above, the wisping layers of sand formations in the shallow sections intertwine seamlessly with the cobalt hues, swathing endlessly around the bay and constantly changing as the tide fluctuates – a truly memorable island experience. In total contrast, the heat of the Moreton ‘Desert’ is sure to provide a little variety to your visit. Affectionately titled ‘The Desert’, this vast expanse of winding sand dunes and towering sand mountains is sure to impress from the moment you arrive. Exclusively accessible via four-wheel drive or via pre-booked tour, The Desert is a hotspot for ‘sand duning’ – also known as dune boarding. Experience up to seventy kilometre an hour speeds as you race down the steep sides of the desert mountains on a dune board – It’s bound to get the heart racing and the body working as you climb up and down the dunes. Tip: Wear sunglasses, as this activity is a literal sand storm. You’ll be covered in sand from head to toe, but it’s worth it for a swim in the calm waters back on the western side of the island later in the day. Tours run with a number of companies – I’d suggest booking with Sunset Safaris. If the adrenaline of sand duning isn’t quite your thing, don’t panic! Pull up a chair or patch of sand and watch the sunset over the ocean on the Western side of the island – Even better, enjoy the sunset as it sinks distantly behind the shipwrecks. 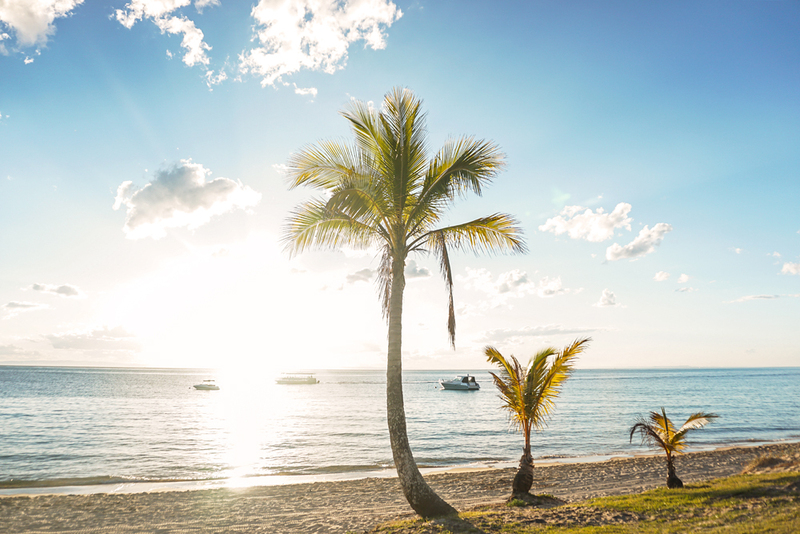 If you’re up for a walk, head south from the shipwrecks down to Tangalooma Resort and enjoy a drink or two in amongst the palm trees. If camping isn’t your style and you’d prefer all the bells and whistles of a quality resort, why not look into booking a room with Tangalooma Resort. With all the facilities, activities and adventure sports you could imagine, this option is perfect for couples or families searching for the perfect island escape, yet still remains nice and close to home. The resort offers tours to each of the above mentioned island attractions for either full day or half-day packages. Additionally, there are a number of holiday homes and apartments to choose from to cater for larger groups and family’s. 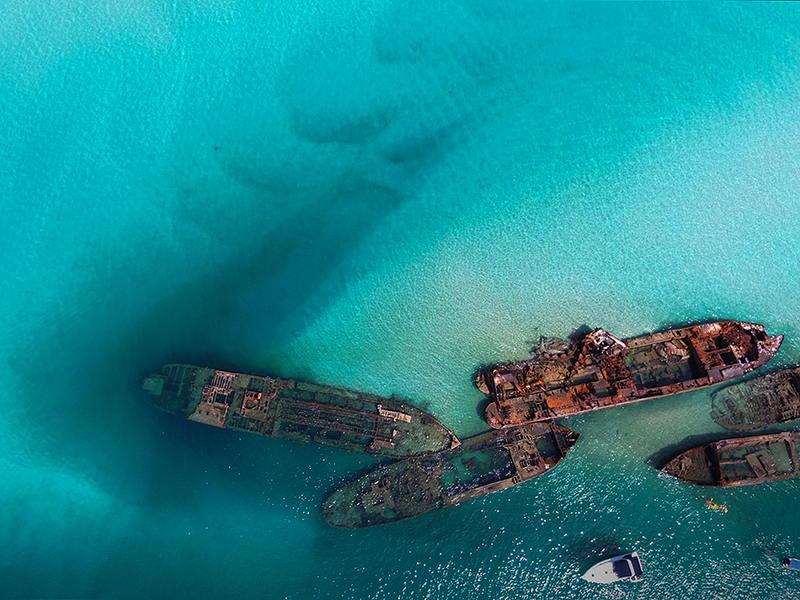 Moreton Island is accessible by private boat, ferry or barge. If you have your own boat, expect a travel time of approximately forty-five minutes to an hour. Moreton Island Adventures (MICAT Ferry) is a dual ferry catering for both four-wheel drive vehicles and walk on passengers. This option takes approximately ninety minutes one way. MICAT ferry is fully licensed and offers a variety of food and drink options on board. Alternatively, you can travel as a passenger directly with the Tangalooma Resort Ferry if you opt to book a stay at the resort. Cost is approximately sixty five Australian dollars return and includes a lunch voucher at the resort. Unlike the MICAT Ferry, this option allows passengers to disembark right at the front of the resort. The Tangalooma ferry departs Holt Street Warf, Pinkenba twice daily. Book your Tangalooma Island accommodation here. Book your Moreton Island accommodation here. Check out the aerial video on YouTube below.